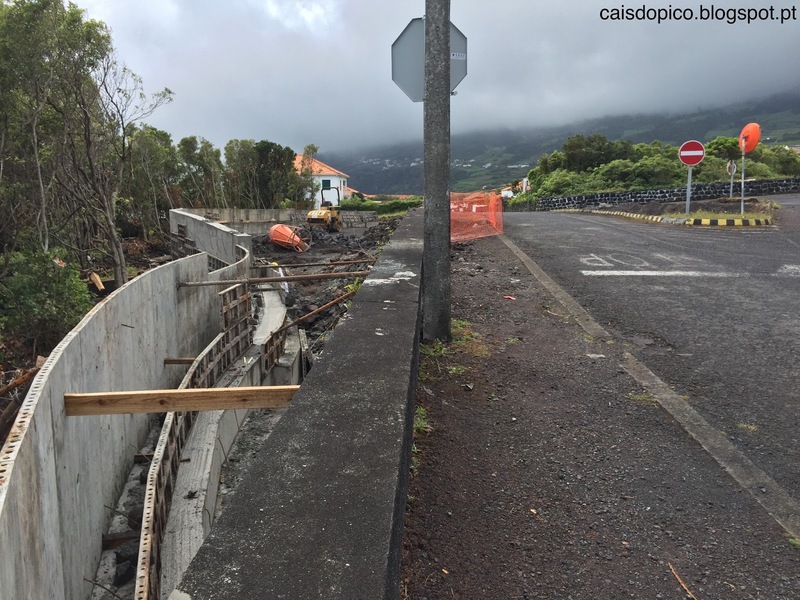 Apresentam-se de seguida algumas fotografias (datadas de 14 de maio de 2016) relativas ao andamento das obras na futura nova rotunda de São Roque do Pico, localizada na entrada nascente desta vila da ilha montanha (junto ao início da estrada transversal) [link para fotos mais antigas]. Post scriptum: link para fotos mais recentes. This roundabout is only useful when school stops or starts. The rest of the time it is counterproductive as far more people will now have to pointlessly slow and/or stop than did before. 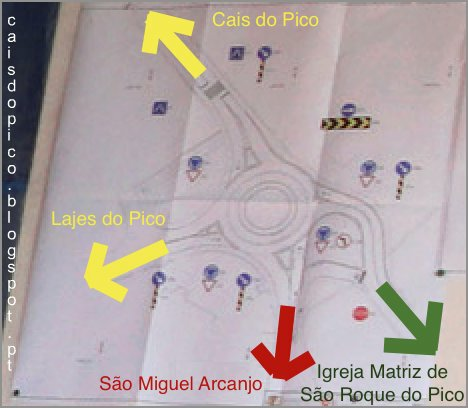 It is particularly annoying when people on the roundabout do not indicate their intentions. 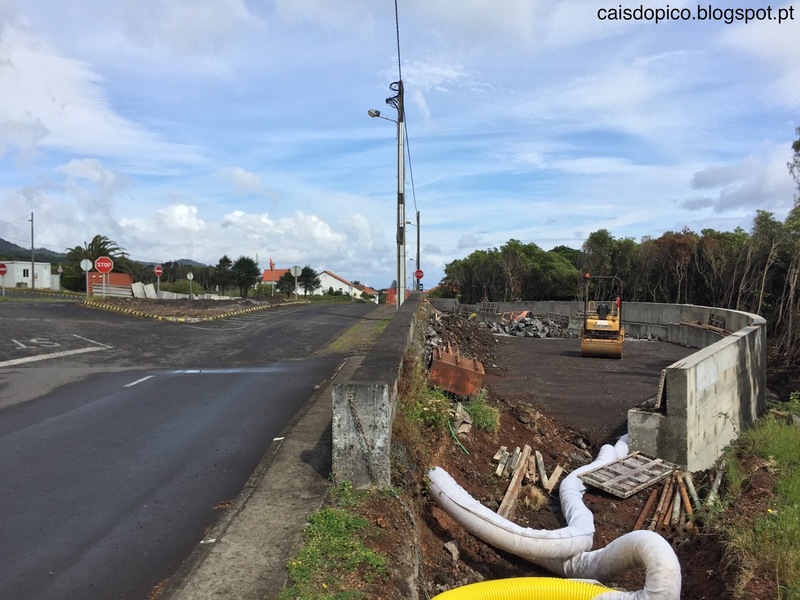 In Madalena most people don't show that they are going to turn off before your junction and you could have kept going if they knew how to use a roundabout correctly. I hope they will hide all the horrendously ugly cement and make use of freely available stone or black Bagasso. "Modernity" doesn't mean having to use bare stupid cement surface everywhere. It wouldn't cost much more to at least use green cement dye (also in the electricity pylons).